a greater discussion and challenging of the emphasis placed on outcomes, over the process of learning and development. 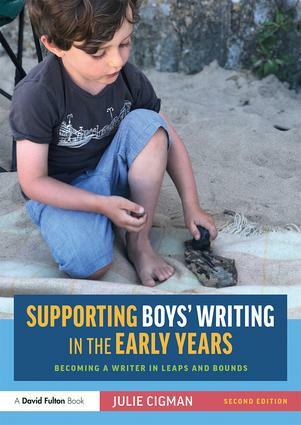 Supporting Boys' Writing in the Early Years will help you to create a truly enabling environment for writing and supports the belief that writing experiences should be EPIC: Everywhere, Playful and Purposeful, Inspirational and Contextualised. It is an essential read for all practitioners who want the children in their setting to flourish as motivated and creative writers.